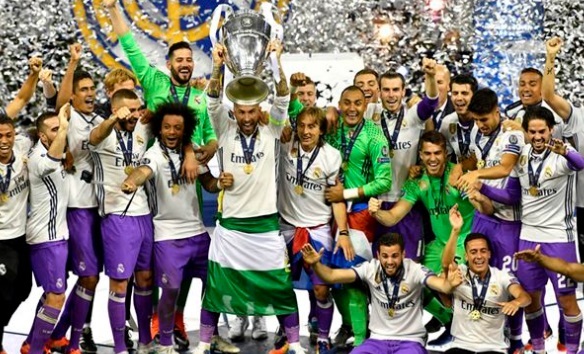 Real Madrid are in the league of their own as far as recent success is concerned, 3 champions league titles and last 4 years and beating Barcelona to La Liga title in 2016-17 season wrapped up incredible few seasons for Madrid. However unlike the other top European teams, Real Madrid have had a very quite summer transfer window only buying two players. We breakdown entire Real Madrid squad, contracts and player salaries going into the 2017-18 season. 1. Cristiano Ronaldo is not only Madrid’s highest paid player but also worlds highest paid footballer earning a massive £365,000 a week which is after tax which means he cost around £700,000 a week to Real Madrid if we count the tax Real Madrid has to pay on his salary which is around 52% in Spain. 2. Gareth Bale also signed a financially improved contract which is set to keep him at the club till 2022. He will be paid around £150m over the next six year if he stays at the club with new deal. 3. Toni Kroos, Casemiro and Marco Asensio all signed new financially imroved deals in the last few months and we can expect Isco to pen his long term future to the club by december 2017 as he move into last year of his contract. 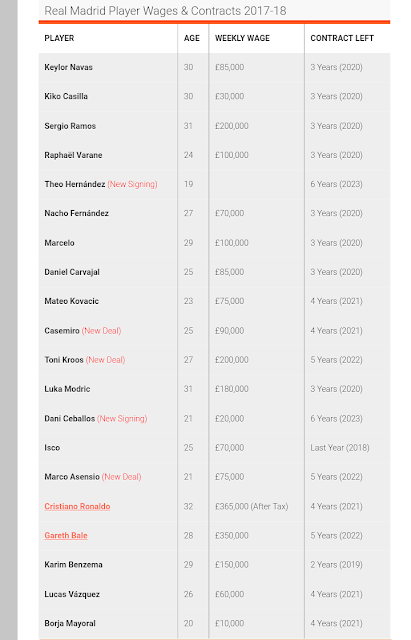 We take a look at Real Madrid entire squad contracts and how they are getting paid weekly.